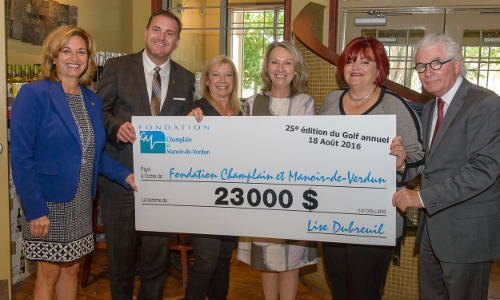 It is thanks to the initiative of Ms. Marguerite Kirkland, nurse, that a foundation was created at the Champlain Hospital in the year 1991 in order to ensure a more pleasant life to the residents for whom the hospital was their home. 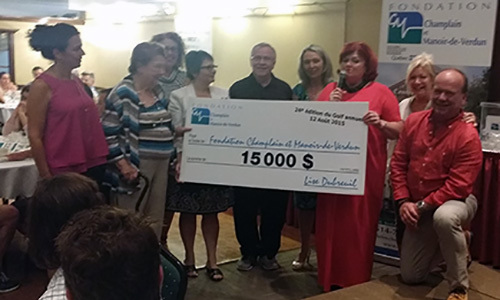 Ms. Kirkland, with the help of Sirs Gilles Létourneau and Waguih Boulos, respectively Director and President of the Board of Directors at the time, undertook the steps for setting up the Foundation. In the year 1992, the Foundation was called to serve the Manoir-de-Verdun Residential Centre following the fusion of the two centres. The Foundation’s mission is to provide residents of each of the centres with activities and a pleasant living environment that public funds and the goodwill of public officials, despite their great efforts, simply cannot ensure. Throughout the years, the Foundation has been actively involved in improving the quality of life of residents by allocating funds to adapt the facilities of both residential centres. The Foundation’s aspiration is to continue to be involved in the financing of thematic activities, in the purchase of specialized equipment for the elderly and in the improvement of the living environment and does not hesitate to respond also to specific requests in order to meet specific needs. The Foundation thrives to continue to create an environment with an enriched quality of life for the well-being of the residents.